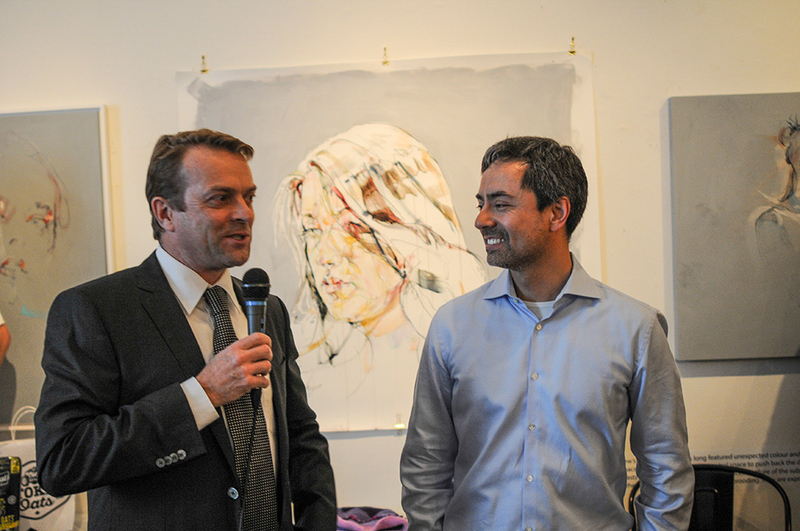 On November 16th, the annual Ottawa Cycling Celebration took place, recognizing cycling talent from the Ottawa region. The event is a fundraiser for the Ottawa Cycling Bursary and raised $6,000 through ticket sales and silent auctions. The 2018 recipients were Jeremie Lagrenade, Carson Miles, Juliette Tetreault and Lauren Webber. 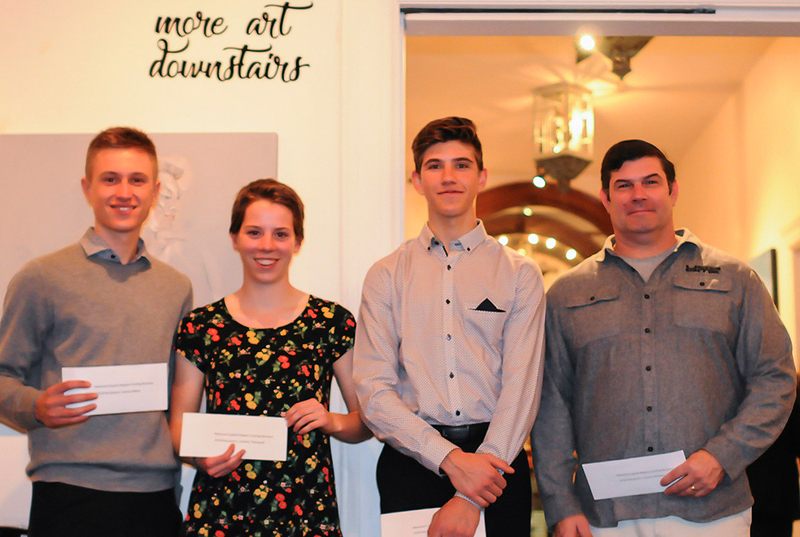 Bursary Winners, (L-R) Carson Miles, Julliette Tetrault, Jeremie Lagrenade and Lauren Webber's stand in. BMX racer Lauren Webber is the youngest ever recipient. Her goal is to attend the World Championships, using the bursary money to cover the expense of additional racing in the US and western Canada. Lauren aims to one day attend the Olympics. Carson Miles, is turning pro next year. In 2018, Carson represented Canada as a Junior at the Road World Championships in Austria, finished third in national championships [Junior men's time trial], won five races and had 18 podiums. Attending the 2019 Road World Championships in Yorkshire, England, as an Under-23 is his goal for next year. 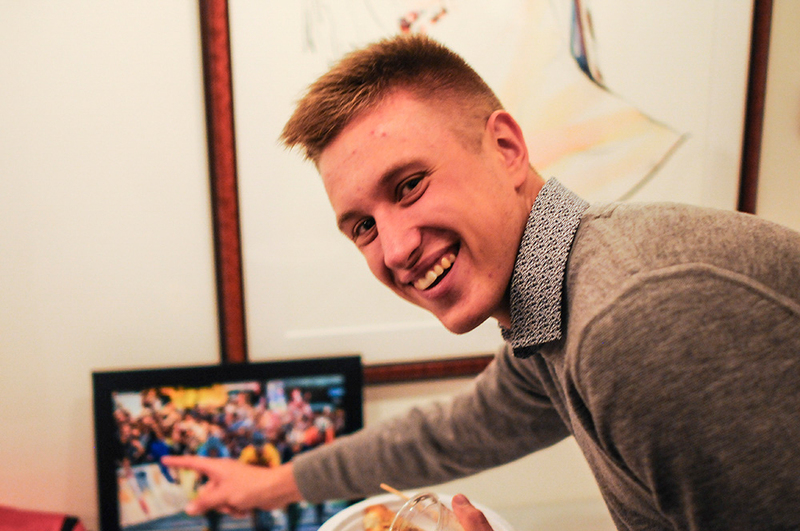 Carson Miles pointing himself out watching Mike Woods third place finish at world championships. Jeremie Lagrenade is using the Bursary to offset costs of participating in the national team NextGen MTB program. He finished on the podium at Jeux de Quebec in road and mountain bike this past summer. His goal for next season is to attend the Mountain Bike World Championships in Mont St-Anne, Quebec. Juliette Tetrault attended the 2018 Mountain Bike World Championships as an Under-23 racer and aims to do the same again next season. Last year she finished just off the podium in fourth at Nationals and is aiming to step up to the medals next year. Juliette is using the money to offset her coaching costs and fund a training camp. 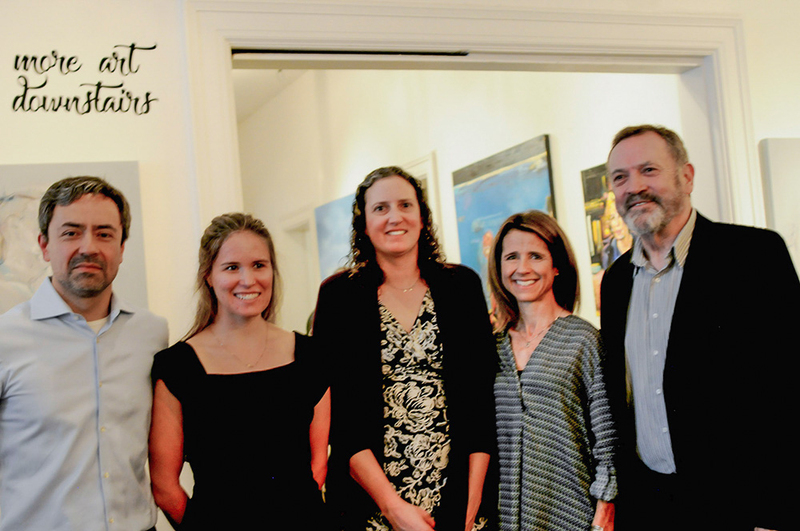 The Bursary has supported athletes in the Ottawa area for over 20 years, with more than $60,000 distributed to deserving local cyclists. When UnitedHealthcare professional rider Alex Cataford needed a track bike, the Bursary was there. "It was in 2011 or 2012, when I was racing on the track. I had a bike but it was a second hand bike ... I was doing races and needed a bit of an upgrade, so that's what I spent the money from the Bursary on," Cataford remembered at the Celebration. Cataford is not the only noted past recipient of the Bursary, which is an important community builder, according to Kris Westwood, who sits on the Board responsible for giving out the award. 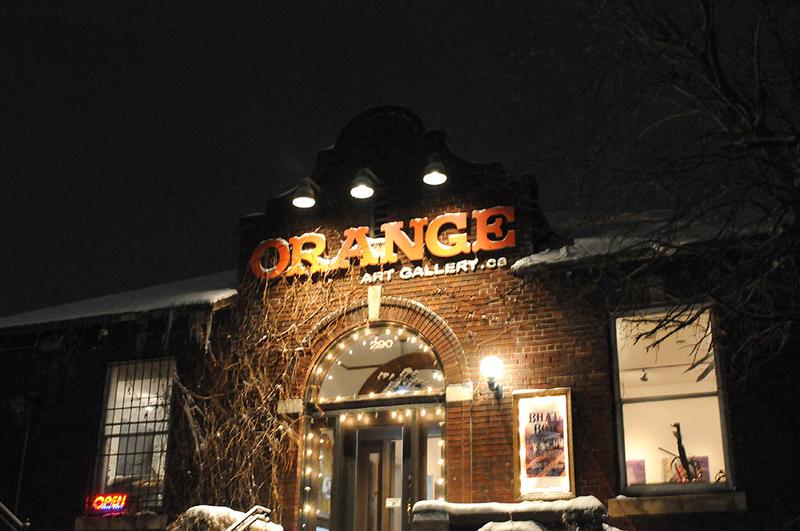 "Five years ago, we supported Mike Woods with a $1600 donation, a relatively small amount. But what it allowed him to do, was buy a plane ticket to Europe and start racing his bike - when he was just first figuring it out," Westwood said. 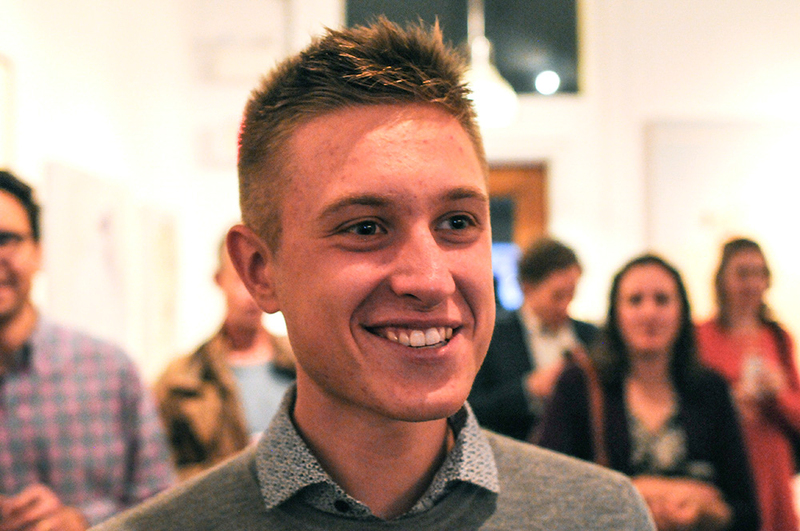 The importance of the Bursary is clear, with Woods being honoured at the Celebration as Ottawa Cyclist of the Year for his stellar 2018 season, including third at the Road World Championships and a stage win at the Vuelta a Espana. 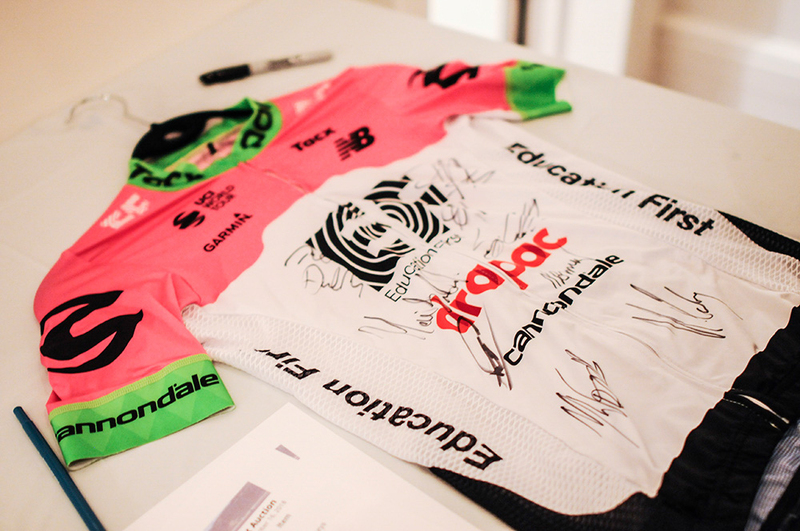 One of his jerseys, signed by his Cannondale E/F Drapac team, was an in a silent auction, with the money from the winning bid supporting the Bursary that helped him out five years ago. Award winners L-R Vince Caceres, Karol-Ann Canuel, Sophie Beaudebien. On the R is the mother of Katherine Maine and father of Michael Woods standing in for their absent children. Other winners from the night included past Bursary recipient Katherine Maine, who won the Ellen Watters Award for perseverance, which comes with a thousand dollars. The award is in its second year, and was set up in memory of Ellen Watters, who passed in December 2016. After coming back from a head injury in 2016, Maine was crowned national road champion this year. It was Ellen herself who helped Katherine back from injury, going on some of the first rides with Katherine after her injury. Maine was unable to attend the event, as she is the middle of a training cycle in advance of the Track World Cup season. She thanked the community over a video, saying she was "deeply honoured" to receive the award named after her late former Cyclery Racing teammate. The manager of the Cyclery Racing team, Vince Caceres, was recognized as Organizer of the Year for his work on the Tuesday night crit series. Kris Westwood (L) and builder of the year winner Vince Caceres. The OMBA [Ottawa Mountain Bike Association] was also acknowledged as a group recipient, with Sandra Beaubein receiving the award on the behalf of the Association. The group was honoured for their work on getting mountain bike trails back on NCC land. The awards highlighted the many builders of the community who gave back and rotate winners every year. The very strong OMBA was a first time winner and many other candidates could easily have been honoured. The Ottawa cycling community is strong and ready for the next generation to give back. 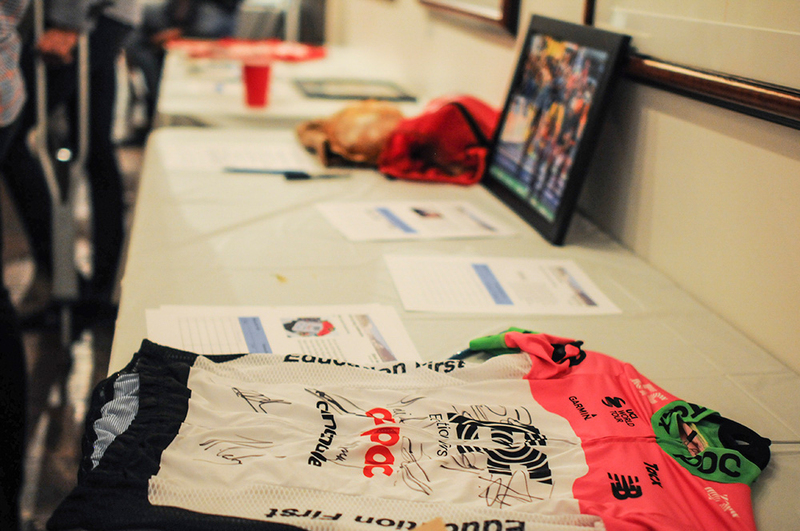 Mike Woods EF-Drapac jersey signed by the entire team was a silent auction item.